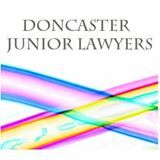 Doncaster Junior Lawyers Division have held a successful AGM electing a new Committee . The Group is going from strength to strength leading to recognition by the National Law Society as an official group . To mark the event on 25th October there is a launch party to which all of the Doncaster Legal Community Young or old has been invited to . Alistair confirmed that we had had a very positive and successful year, hosting a number of events and getting involved with the local Secret Santa Appeal. Also confirmed that we are now an official branch the Law Society’s National Junior Lawyer Division. Oliver Saxon produced copies of the Profit and Loss Account and took the committee through the report accordingly. We have received circa £800.00 in sponsorship money (comprising £500.00 from Wesleyan and approximately £300.00 from Bank House Chambers). It was not possible to provide a precise figure for the Bank House sponsorship as the event was paid for direct by Bank House on the night of the event. The books balance and there are currently £0.00 funds. The accounts do contain a ‘placeholder’ sum of £50.00. However this money does not belong to Doncaster JLD and is merely a deposit made by the Treasurer to keep the account open until we obtain further funds. This sum is to be withdrawn as soon as possible. Any payments from National JLD (such as travel expenses towards national events etc.) should now be paid into this account. Accounts have not been audited this year but may need to be audited next year. Philip Boyle was elected following an uncontested nomination. Appointment ratified by Janine Lawton. Oliver Saxon was elected (7 votes to 1). Janine Lawton was elected following an uncontested nomination. Appointment ratified by Oliver Saxon. Lindsey Gaimster was elected following an uncontested nomination. Laura Armstrong was elected following an uncontested nomination. Liz Rainey was elected following an uncontested nomination. Lindsey McAteer was elected following an uncontested nomination. Monica Ghai was elected following an uncontested nomination. Leanne Dennett was elected following an uncontested nomination. Alistair Stokes and Jamie Young were elected to the dual role following uncontested nominations. Brief discussion of next event to be held at the Regent Hotel on 25 October 2013, 7.30pm. Discussed scheduling of future meetings. After discussion it was agreed that the best option would be to provisionally schedule meetings on the 4th Friday of each month at 12.30pm. Next meeting arranged for 22 November 2013 at – Missoula – 12.30pm. Reconvened to comply with requirement that the AGM lasts 30 minutes.